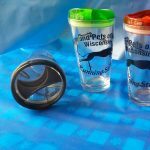 Enjoy a delicious glass of wine while sitting with your hound in one of these greyhound-themed stemless highball wine glasses. 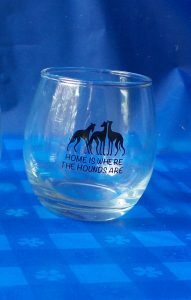 Enjoy a delicious glass of wine while sitting with your hound in one of these greyhound-themed stemless highball wine glasses. 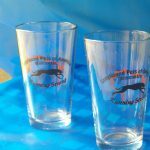 Included on each glass is a collection of three greyhound silhouettes with the caption, “home is where the hounds are” — and every greyhound owner can attest to that!